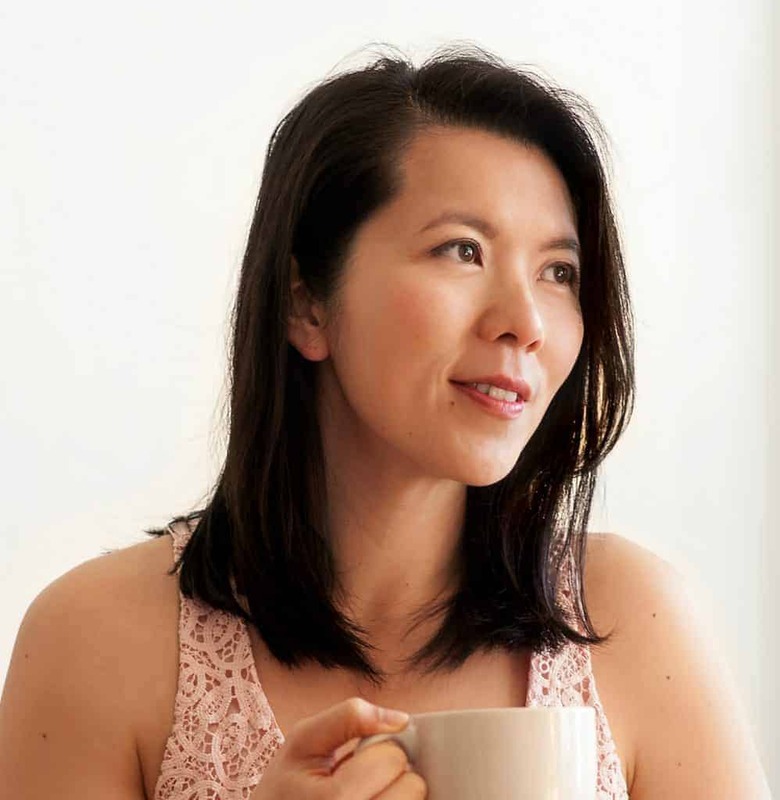 Thank you to California Ripe Olives for sponsoring this post! 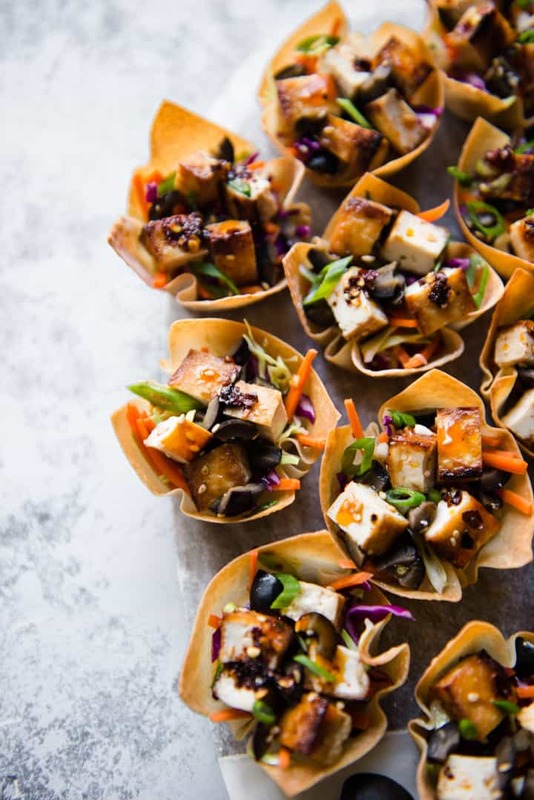 These sweet chili tofu wonton cups are a healthy vegetarian appetizer that’s perfect for a party. 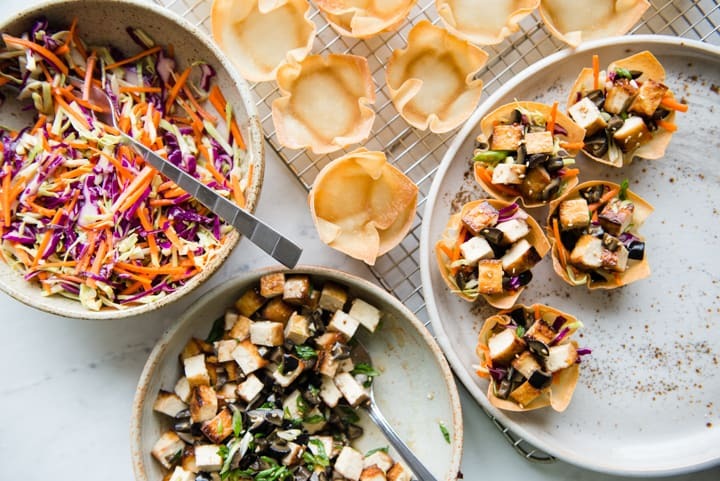 The crispy wonton cups are baked and not fried. I get excited for the big game not because of the game but the snacks. It’s essentially 4 hours of uninhibited eating, and I love it. 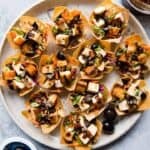 For those of you who are still wondering what to bring to your game day parties, these chili tofu wonton cups are for you! The wonton cups are made from square dumpling skins that are baked into a crunchy, chip-like cup. Then, I fill each cup with a light carrot and cabbage salad, as well as sweet chili tofu and chopped California Black Ripe Olives. I know it’s a bit unexpected to add olives to sweet chili flavors. 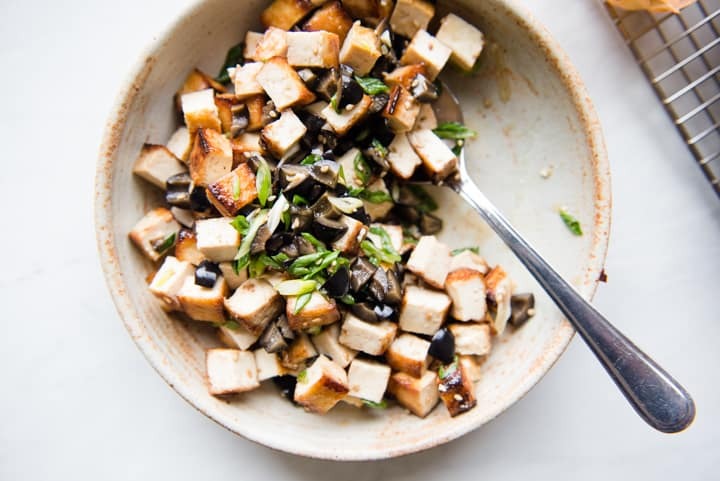 However, the California Black Ripe Olives contain just the right amount of salt to balance the sweetness of the sweet chili tofu and the salad. California Ripe Olives go through a consistent curing process that ensures their quality in taste. In fact, I keep cans of them around the house for snacking when I crave something savory. 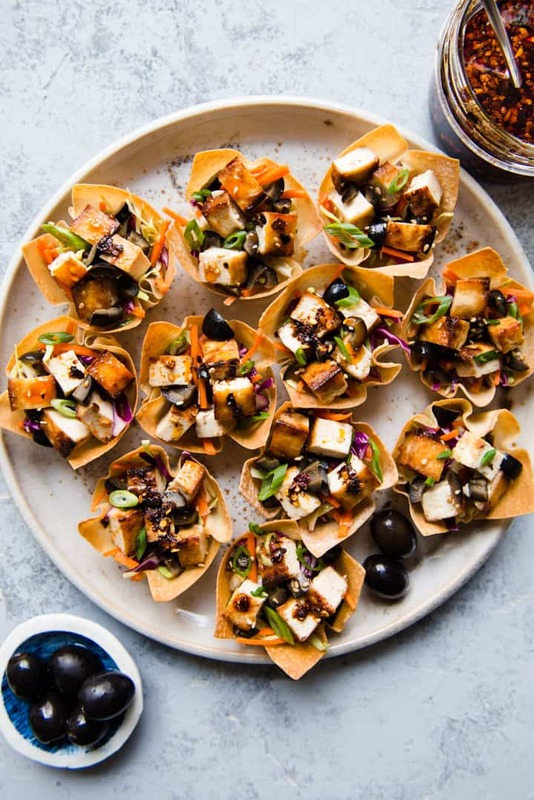 These wonton cups are easy to assemble, and they’re a healthy vegetarian appetizer to bring to your next party! 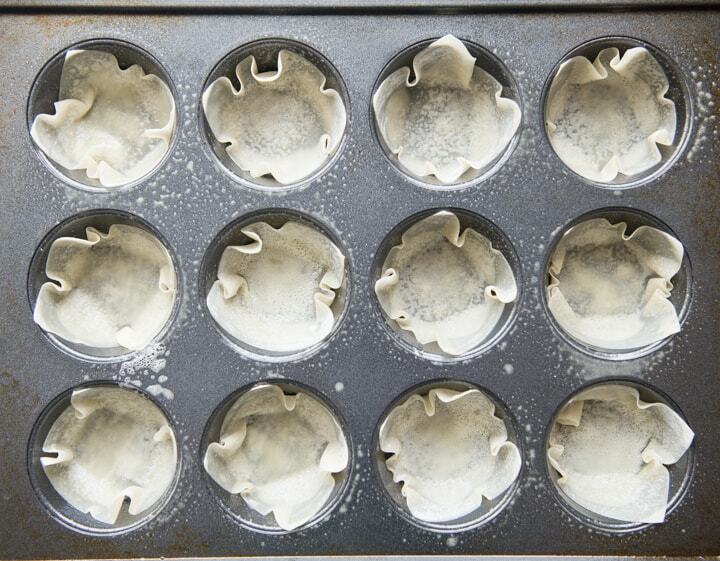 The baking time depends on the thickness of the wonton skins and whether you are using a dark or light muffin pan. Wonton cups that were made with my dark muffin pan were ready quicker than the ones made with my light pan. Just be sure to check the wonton cups at around the 8-minute mark to see if they are golden on top. If not, let them bake for another minute or so. 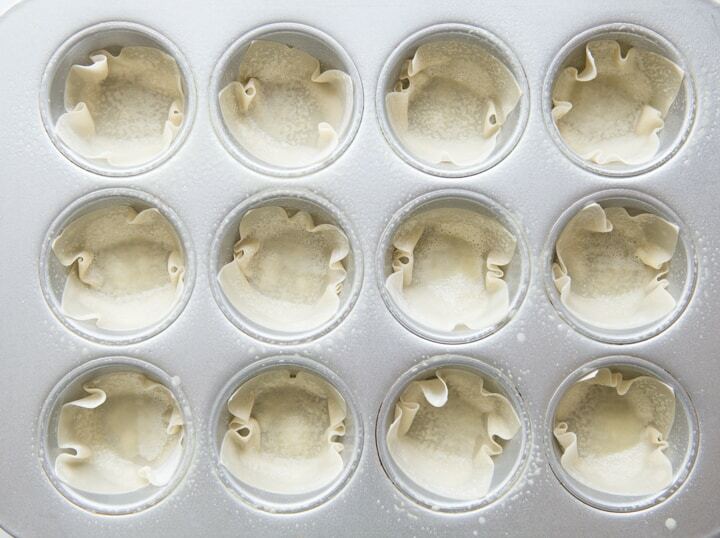 If you are doubling this recipe, note that the second batch of wonton cups may bake faster than the first. I would start checking the wonton cups at around the 7-minute mark. Disclosure: This post was sponsored by California Ripe Olives. 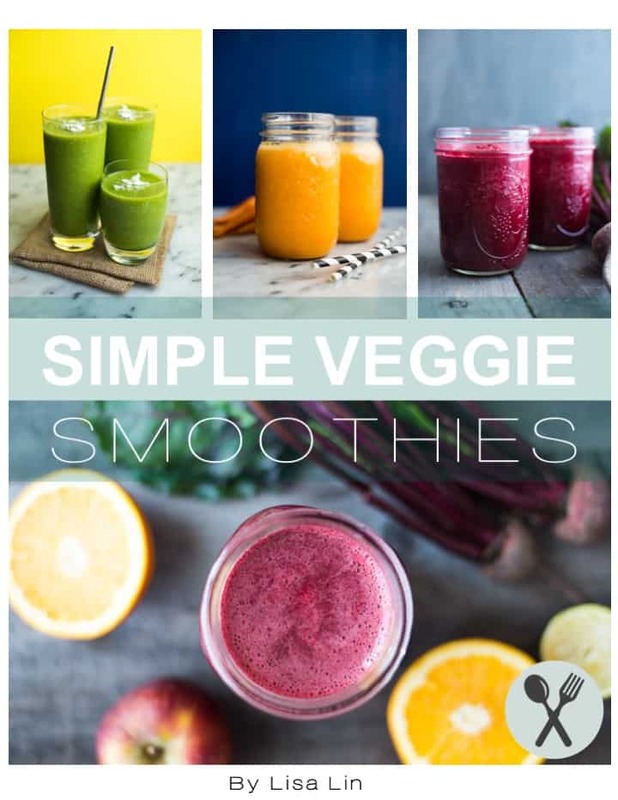 You can visit their website for more information or follow them on Facebook, Pinterest, Instagram, or Twitter.